I’ve been meaning to post about this for a while, but I wanted to first reread Farewell to Manzanar, Jeane Wakatsuki Houston’s memoir of her childhood in the internment camp. 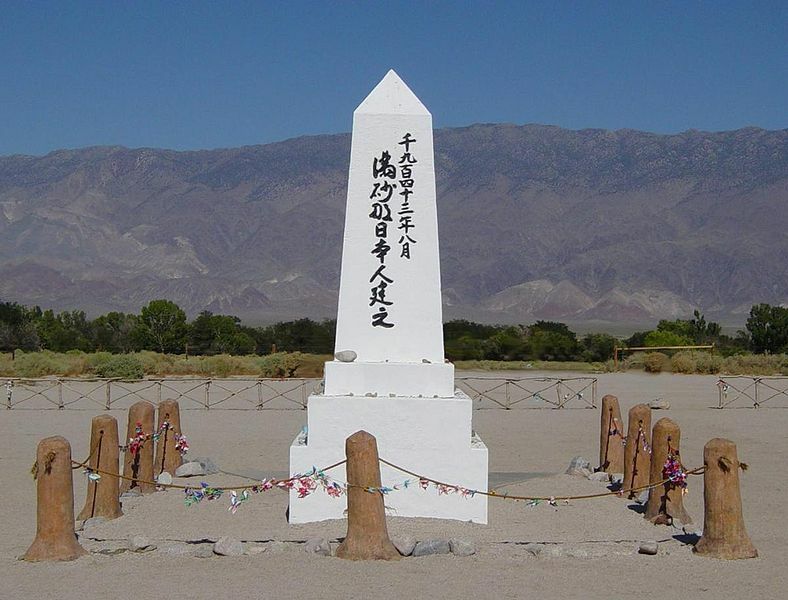 I hadn’t really thought about that book since reading it back in eighth grade, but while I was out on the east side I visited Manzanar, an interesting place to visit despite the fact that there’s not a lot there any more. Whether for practical or more guilt-oriented reasons, the site was almost completely erased after it closed in 1945. All of the buildings were dismantled and hauled away, leaving only some concrete foundations, the large auditorium, two stone sentry posts built by a stonemason internee Ryozo Kado, the cemetery with its concrete monument (also built by Kado), and the remains of a few gardens built by the internees. Now, the place feels barren and desolate, which is, I guess, appropriate. The park service has done a lot of work to put together a visitor center that gives a sense of what life might have been like in the camp. Their website says they will have a virtual tour online in the future, but for now the wikipedia page or this article in Lost Magazine have the most info and links that I could find on the web. Farewell to Manzanar, though, is the best source. I don’t remember the book making much of an impression when I was young, but this time I found it quite compelling, perhaps because the story is relevant to our country’s recent history. Kado’s work is all very meticulous for someone who was essentially a prisoner. He created almost everything that remains at the site, which may I guess have been a motivation. There’s a saying: If you want it to last, build it with stone. His stonework makes this memorial possible. The lintels are made of concrete finished to look like wood, apparently a signature of Kado’s work. 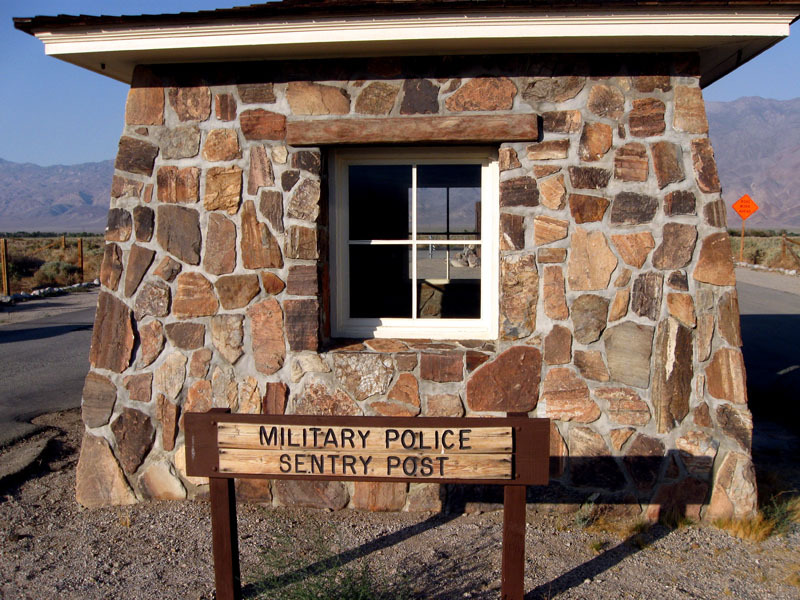 The posts at the sentry station resemble a tree trunk, while the ones in the cemetery have a smooth finish as if they were scoured by sand or water. There are the remnants of several traditional Japanese gardens built by the internees. I don’t know of any photos that show the gardens in their prime, but they look like they were quite complex, involving water features, landscape boulders, and masonry. 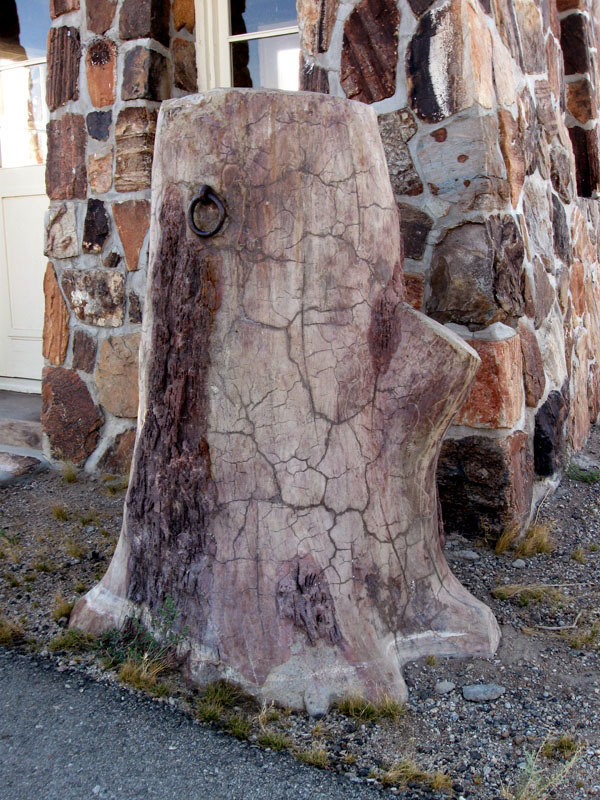 Kado was one of the main creators, and some of the concrete ponds were lined with more of his faux-wood masonry. This article talks about the park service’s archeological efforts with the gardens, including more details about Kado and a number of photos of the garden ruins. In person, the effect is quite powerful, especially for someone like myself who creates gardens for a living. 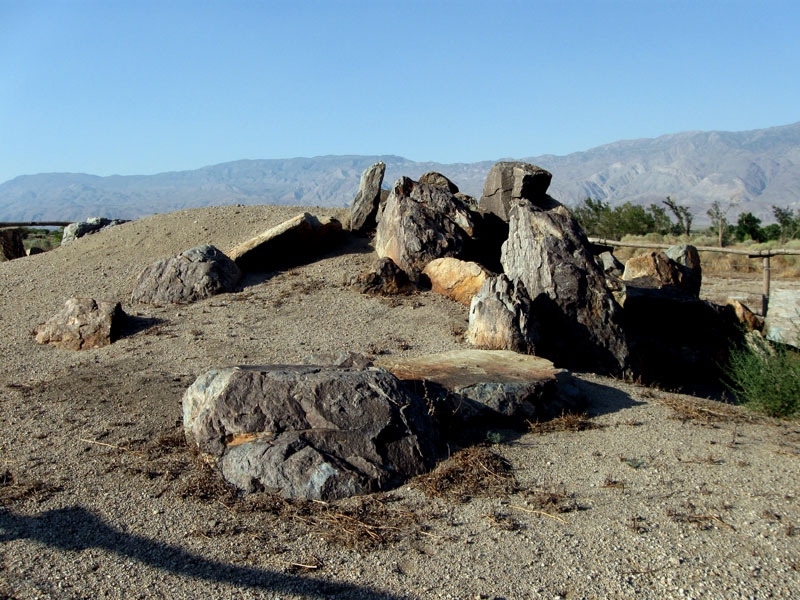 Houston talks about the gardens in her chapter about revisiting the ruins of Manzanar. Photos #5 and #6 from Wiki user Mav. Update — 99% Invisible has a podcast telling the story of the establishment of Manzanar National Historic Site, as well as some great photos by Ansel Adams and Dorthea Lange and creator of the podcast. It looks like the park service has done a lot of work developing the historic site in the eight or so years since I was there. This entry was posted on Sunday, November 22nd, 2009 at 7:19 am and is filed under historic, stone. You can follow any responses to this entry through the RSS 2.0 feed. You can leave a response, or trackback from your own site. 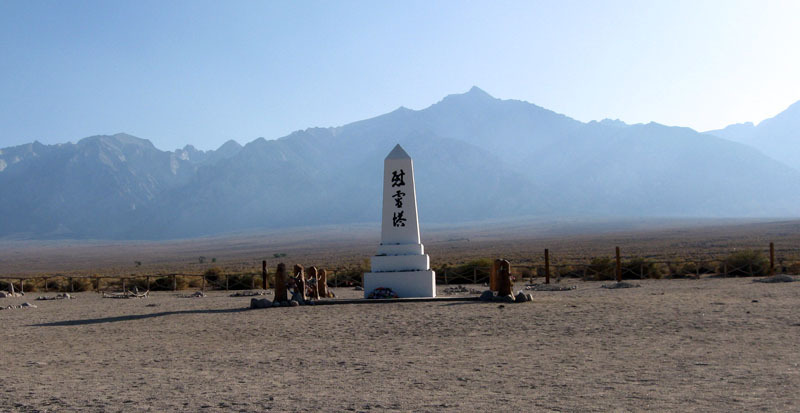 I remember driving past Manzanar as a kid with my family and thinking how incredibly desolate and sad it seemed. I read the book in a class later on and couldn’t shake that image from my mind. I didn’t remember the quote about the rock gardens. And thanks for the pics. I wonder if working with the stone gave someone comfort. I know that building things always offers me solace; I hope that instead of being a burden, it offered the same for the person or persons that built those structures. Yeah, pretty desolate and sad. I would like to have seen some things in bloom. When I was there the trees were looking like they needed water. Apparently, it was full of fruit trees on irrigation, but then LA took all the water, gave some back during the internment camp years, and then took it back. I’m sure it must have been some comfort to build things. I think I would have been bitter about building things in an internment camp, though. There is a book about gardens made during wartime called ‘Defiant Gardens’ by Kenneth Helphand. He talks about gardens in extreme situations as being an assertive act of resistance representing a desire for survival. 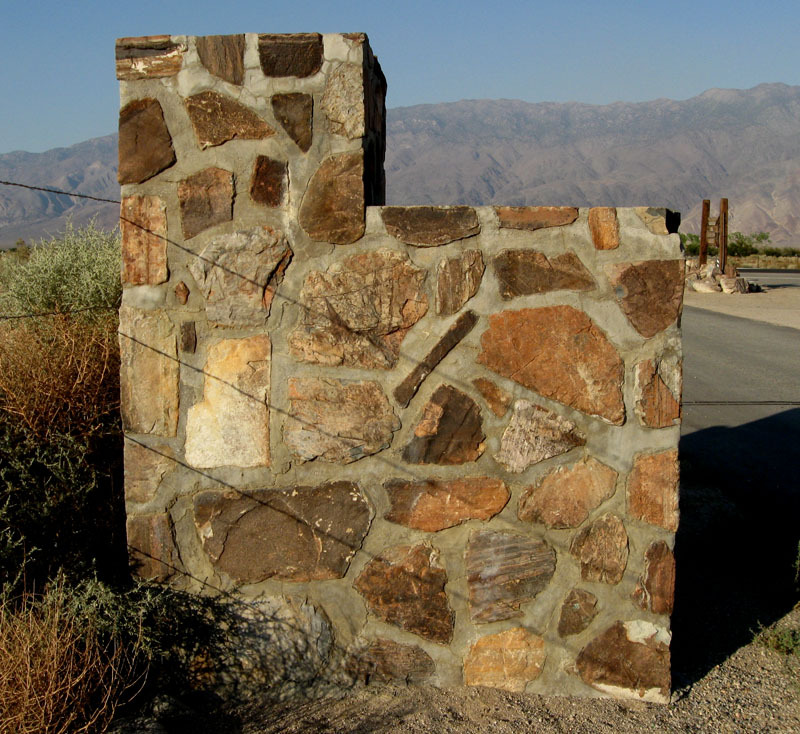 The lasting stonework at Manzanar is definitely a testament to survival, transformation, hope and a marker of history otherwise too easily forgotten. Thanks for the link. There are some interesting garden photos at that site.